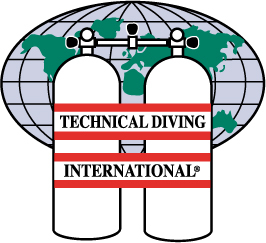 Intro to Tech may be combined with TDI Advanced Nitrox at the discretion of the instructor. This course consists of academics & 3 dives. We can provide you with the technical dive gear needed for this course, so no need (yet) to buy your own gear. (EAN) as a breathing gas. The objective of this course is to train divers in the benefits, hazards, and proper procedures for using nitrox mixes from 22 through 40 percent oxygen content. This course consists of academics only: no dives are required. We can include dives, but the additional charges will apply. This course examines the use of EAN-21 through 100 percent oxygen for optimal mixes to a depth of 40 metres. The objective of this course is to train divers in the benefits, hazards and proper procedures for utilizing EAN-21 through 100 percent oxygen for dives not requiring staged decompression. TDI Decompression Procedures or the Intro to Tech may be combined with this course at the discretion of the instructor. The Helitrox course examines the theory, methods and procedures for planned stage decompression diving utilizing Helium in the breathing mixture. This program is designed as a stand-alone course or it may be taught in conjunction with TDI Advanced Nitrox at the discretion of the instructor. The objective of this course is to train divers how to plan and conduct a standard staged decompression dive not exceeding a maximum depth of 45 metres. The most common equipment requirements, gear set-up, and decompression techniques are presented.